Genio is a videogame about engineering, art and power: building the Renaissance. A card based real time strategy game that anybody can play. Watch your teams parade through narrow streets and be jeered and cheered! The game play universe is Renaissance Italy; each town will flourish through artistic innovation and conceptual breakthroughs. You start by designing new inventions using your deck of builder cards, getting inspiration from your ever expanding Book of Ideas. Once your blueprint is ready, your team of builders will parade through a town of your choice. Being cheered or jeered will make the success or failure of your march, hence conquering or losing ground. Once reached its goal, your team will build what you planned. And with new constructions you will get new ideas, in the form of more pages in the Book if Ideas, and eventually more builder cards. Keep the Renaissance sun burning with a continuous flow of ideas and artistic creations. 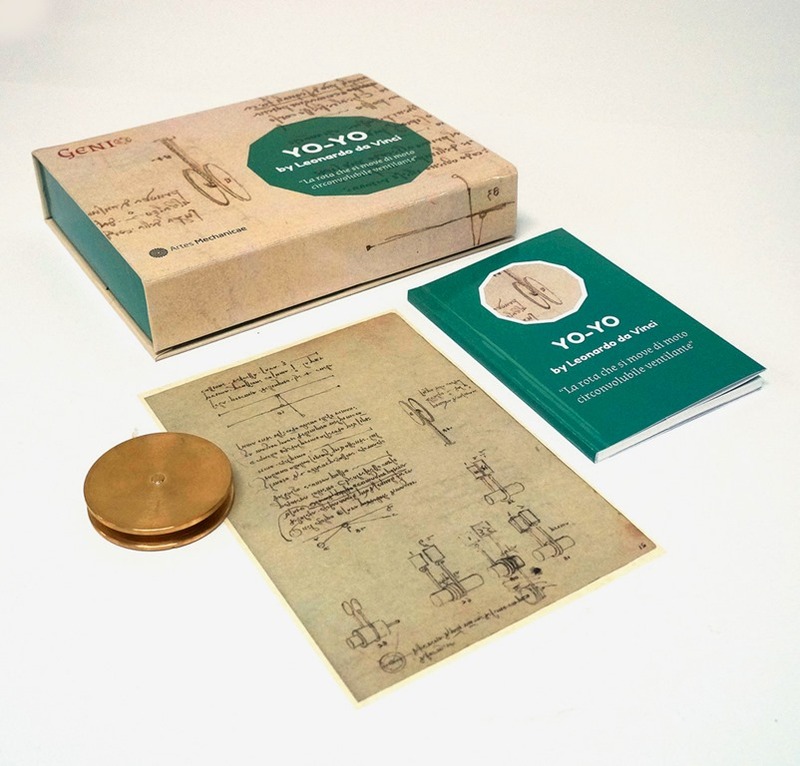 Genio is a videogame on the history of the Renaissance and has Leonardo da Vinci designed toys as Kickstarter pledges. All the details on the toys and their historic and scientific context are linked from this news. Genio is a videogame on the history of the Renaissance and has Leonardo designed toys as Kickstarter pledges. Leonardo da Vinci left more than 6000 folios with sketches on both sides. He wrote many more, but we have (up to now) found those; unfortunately we know for sure that many have been destroyed. Most of what Leonardo has drawn and invented has not yet been object of study. 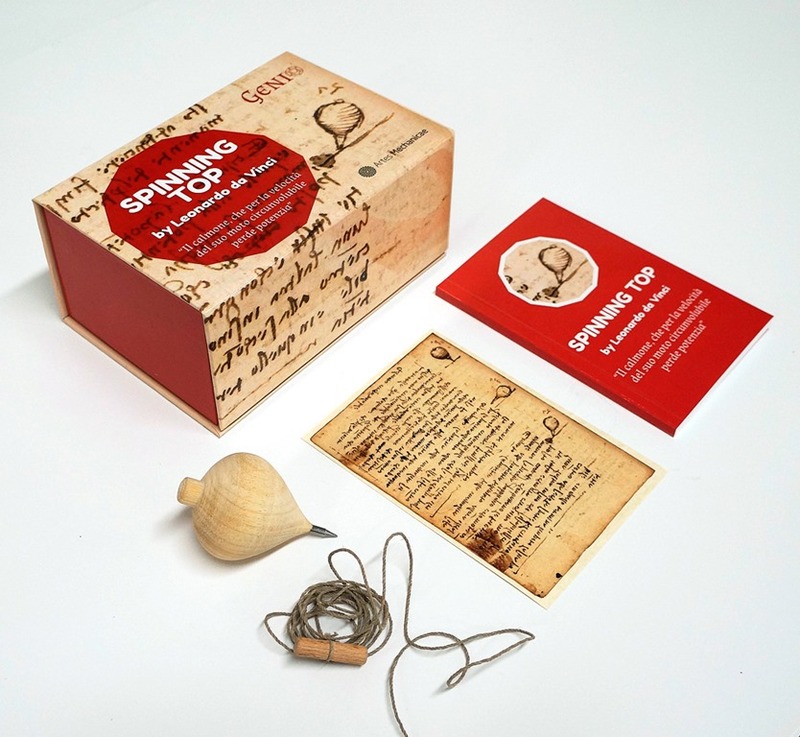 The Genio Project is a collaboration between a developer (Pietro Polsinelli) and a researcher in Renaissance technology (Alexander Neuwahl); Neuwahl in his researches on Leonardo’s sketches together with Andrea Bernardoni has found several sketches of toys, for a kite, a yo-yo and a spinning top. These sketches were done while Leonardo was studying the physical laws of motion; the scientific experimental method had not yet been perfectly defined but Leonardo was already following it in his researches. The kite in particular was one of hundreds of drawings and studies concerning flight; it will not be produced for the moment as the tests with a prototype show that it doesn't fly. The two other toys will be produced as part of a box set and will be used as pledges for a Kickstarter Genio, going live on March 25th here.